Here’s Your Headliner ……….. Dilly Willy! I can’t remember the specific passage, but in the Bible it says that we should love ourselves as we love one another. I think that passage also says that we should lift each other up, to proclaim and celebrate in the accomplishments of others. That is what I plan to do with this posting today. I am here to talk about the newest picture that will be added to the “headliners row” of pictures at Dez Reed’s Comedy Club. Your newest headliner is Dylan Williamson (or Dilly Willy as Dez likes to call him). For those of you who know of the local stand-up comedy scene, you might be scratching your heads wondering if that was a typo. Let me explain. One of my friends who has watched a few shows once told me that Dylan wasn’t very funny when he first started (we both started around the same time). I asked this person for clarification and they said he just wasn’t funny. I’m not sure I’d agree with that assessment, but Dylan is a unique personality. He has a style all his own. I can’t really describe it, but to say this. 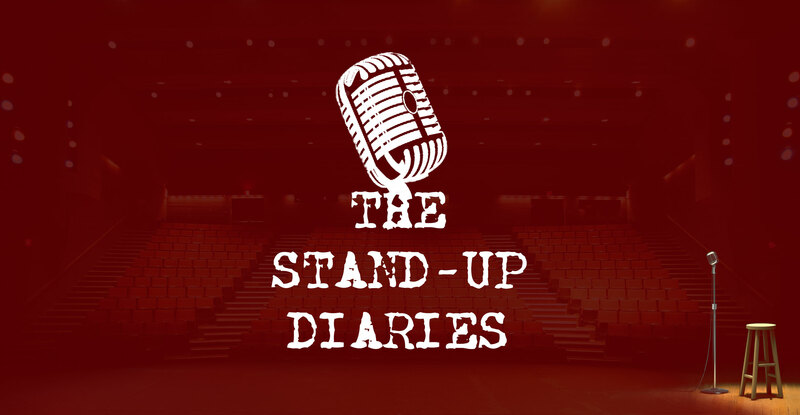 You know when you watch the headliners like Dez, or Dave Attell, Gerry Dee, or even the late Richard Pryor, you could walk in on their joke halfway through it, and still have an idea what they’re talking about. When Dylan first started, you had to hear the joke from the start in order to get it. His jokes at the start sometimes were complex and you really had to pay attention (more so than other comics) to get the full jist of his material. Don’t get me wrong, I am not here to disrespect Dylan, far from it. We were both struggling at the same time when we started, although Dylan was very quiet at the start, which made it tough for people to really hear him. Then one night Dez pulled him aside and gave him a few pointers. The next night at Beilys it was like somebody flipped a switch and he became this person I’d never seen before. He was audible, confident and suddenly some of his jokes that I didn’t react to before, he was getting a reaction out of me because in part of the dramatic change in his delivery. He even threw a mic stand across the stage! Well, it’s Beilys, I mean really, wouldn’t you do the same thing there? So for the next several months he slowly progressed, in my opinion. Then he added the musical element to his performance, and that’s when his material made a dramatic upswing again. He’s more confident, funnier, relaxed onstage and has a really good ear for finding ways to improve other comics material. Last night at the comedy club it was Dylan, myself and Steve Thomas (the Irish guy) all working on material. They asked me for my input to their material, but it’s something I’m not able to do at this point. I don’t have the ability to take their material on the spot and make recommendations to improve it. Once in a while it happens, but I didn’t have much to offer that night, maybe because of all the other stuff I have on my plate to currently deal with. Dylan listened to my one liners, as I had about ten minutes worth that I went through. He made notes on each one, and offered a good critique overall. Some of his changes I will incorporate into my act. While there are some local comics that are acquaintances more than anything, I consider Dylan to be a friend. It’s been a privilege to watch him grow and develop over this last year, and to see his twin brother Dustin enter the comedy world has been fun to watch as well. In a blog that’s usually about me and my experiences in the comedy world, today I thought I’d be selfless and dedicate a posting to a guy who truly deserves all the props. Some of you may be wondering when I will get a headliner billing at the comedy club, a fair question indeed. But we can cover that another time. This posting today is to celebrate the work that Dylan has put into comedy. To see it finally being rewarded, having watched him from the beginning is extra gratifying for me. Congrats Dylan. I know you will do great Thursday night.